← Sharpening at the Waxahachie Gun Show this Weekend! 7/6 & 7/7. In Search of the Wire Edge! 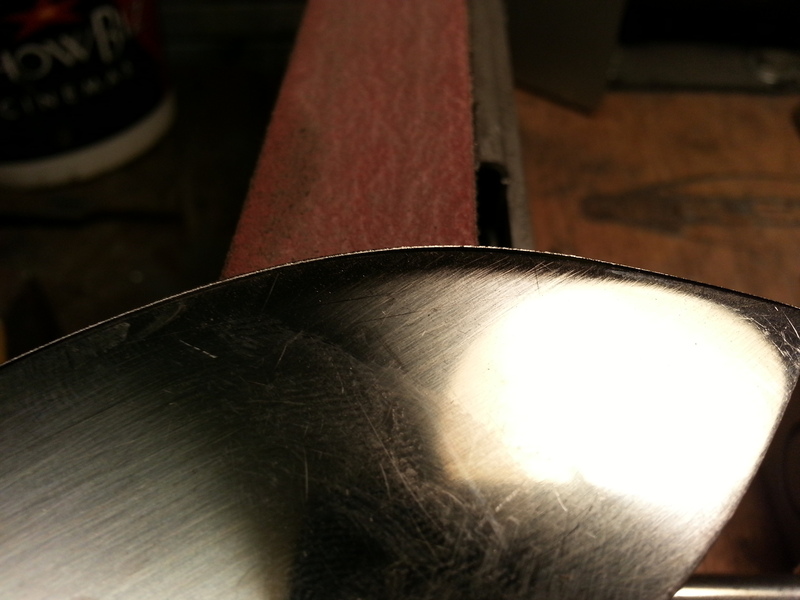 When learning to sharpen a knife on stones growing up, Pop always told me to thin the edge. For years I had no idea what he meant. I just knew that some knives would get sharp and some wouldn’t. There was no rhyme or reason. After sharpening many, many knives, I finally had my Eureka moment. I found my wire edge. Once you learn to get a wire edge on a knife, you can make it razor sharp, every time. Pop was right, again. 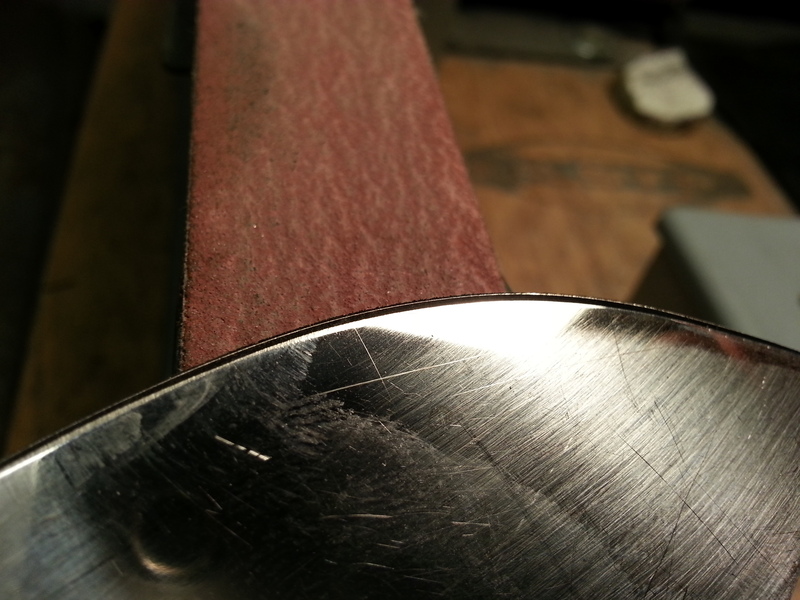 As that edge thins, the very tip begins to roll and fold over. The edge becomes rough. You can see the wire edge fold to one side, and then to the other as you pass it over the stone, belt or steel. Do this on a rougher surface until the wire edge forms. You can run your finger up the side of the knife blade and feel the wire edge rolled over. The rest of the sharpening process is simply knocking the wire edge off and honing the edge. A medium grit stone or buffing wheel can knock off the wire edge. Once gone, use a fine stone for final hone. The last couple of strokes is just the weight of the blade on the finest stone or knife steel. Hair popping sharp. Just as Pop said, all you have to do is thin the edge. Miss you Pop! This entry was posted in Uncategorized and tagged blades, collector knives, custom knife, custom knifemaker, custom knifemaking, custom knives., cutlery, D2 Steel, EDC, every day carry, fighters, Hand Made for Hard Use, hunting knives, knife, knife buffing, knife making, knife repair, knife sharpening, knife show, knifemaking, knifesharpening, knives, knives for sale, tactical knives, Texas Knives, The Best In Custom Cutlery, using knives. Bookmark the permalink.